Vhembe District Municipality mayor Florence Radzilani. DA Limpopo leader Jacques Smalle says what is more concerning is that no steps were taken to recoup the money. Unauthorised, fruitless and wasteful expenditure of more than R1 billion incurred by the beleaguered Vhembe District Municipality has been uncovered by the auditor-general (AG). The Democratic Alliance (DA) has since filed a complaint with the office of the public protector and asked for a probe after discovering that over R1 billion of irregular expenses were incurred by the municipality in the 2017-2018 financial year. DA Limpopo leader Jacques Smalle said the findings by the AG happened while the municipality was still under the leadership of former mayor Florence Radzilani. 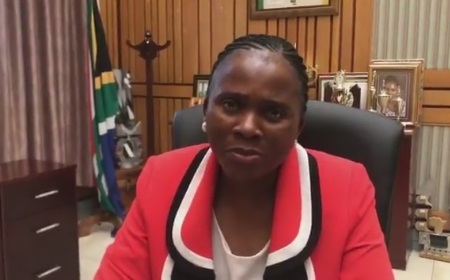 She resigned in November after she was implicated in the VBS debacle, which saw six other mayors from Limpopo municipalities fired by the ANC. He said as if that was not enough damage to the people of Limpopo, the same municipality lost a total of R68 million on water due to poor infrastructure. Smalle said according to the AG’s report, the same bankrupt municipality invested R800 million in the VBS Mutual Bank. “As a result, many people who invested into the bank, especially the poorest of the poor, the pensioners, emerging farmers and street vendors are today eating from hand to mouth because of the recklessness of the municipality. “The DA can today reveal that the municipality does not have measures in place to maintain its records of cash. “All the financial statements submitted for auditing were not prepared with all the materials in accordance with the requirements. “All payments made from the municipal bank accounts were done without the approval of the accounting officer and no steps were taken to prevent any further irregular, wasteful, unauthorised expenditure. “Also, many contracts were awarded to bidders who did not submit a declaration on whether they were employed by the state, and contractors’ performances were not monitored on a monthly basis as required by law,” said Smalle. Municipal spokesperson Matodzi Ralushai said the municipality was still studying the report and undertook to respond to the media once this has been completed.